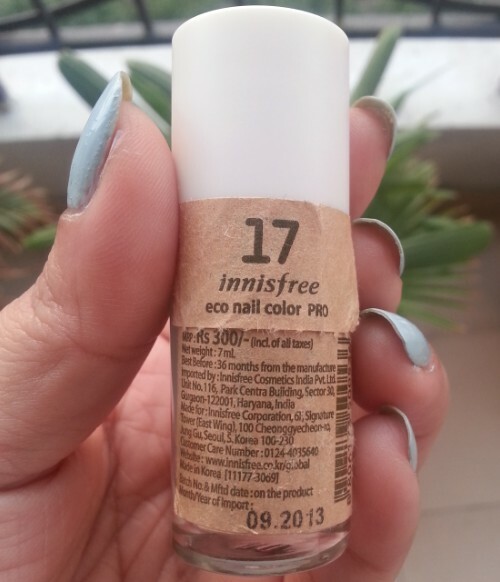 Hello readers, today I am reviewing the Innisfree Eco Nail Color Pro 17 nail paint which I received in My Envy Box June Edition. 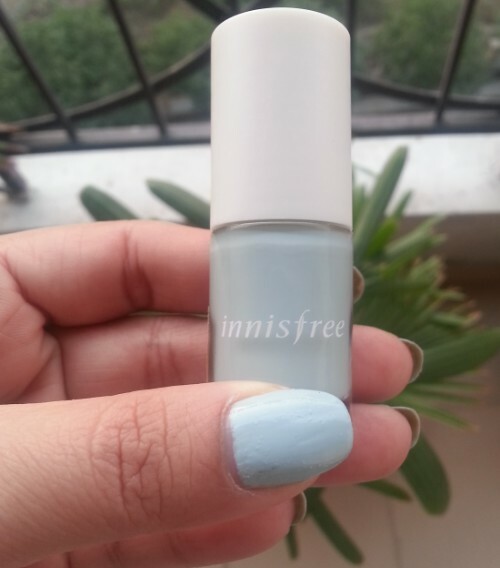 Innisfree is a Korean makeup brand that offers high quality nail paints with a huge variety of shades and reliable colors. 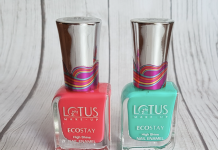 The nail polish comes in a cylindrical glass bottle with white plastic cap. 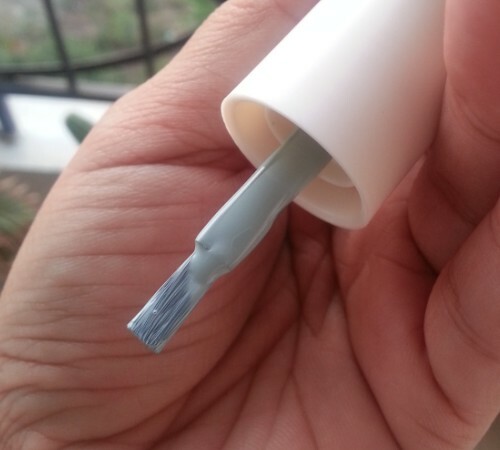 A unique flat edged applicator brush is attached to the cap that makes the application easy & fuss free. 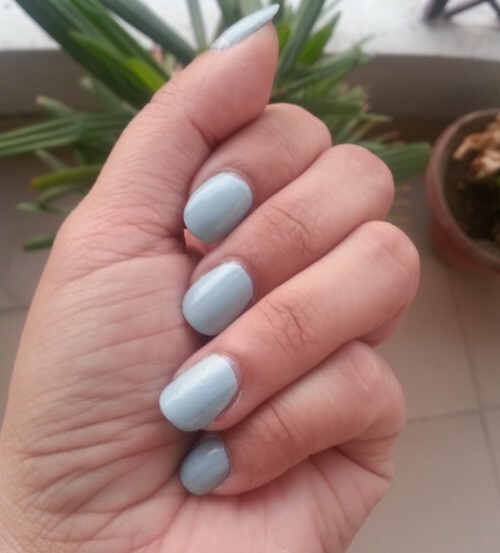 Pro 17 is a gorgeous bluish grey color and doesn’t contain any shimmer particle in it. It has a smooth and non-streaky formula. 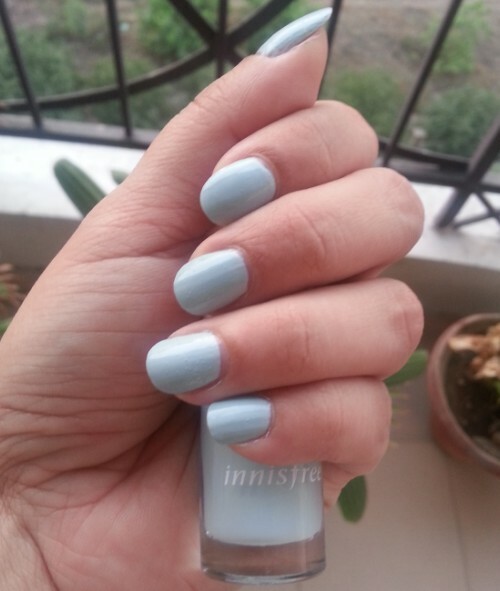 It goes completely opaque in 2 coats and has a creamy glossy finish. It dries out quickly and you need not wait in-between coat applications. It stayed on my nails for a week without chipping, which is amazing. 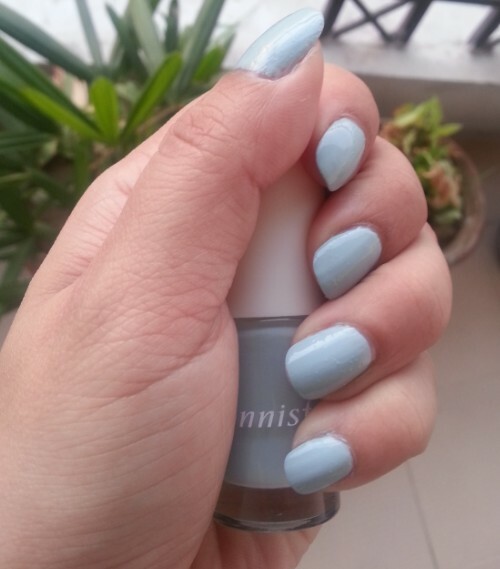 You can use it as a base coat for many nail art designs. It instantly brightens up my hands and will look good on both fair & dusky skin. 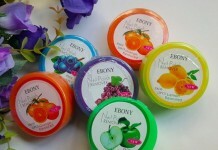 You can buy it online from myenvybox.com and choose from 4 stunning shades. I wish the nail paints had some names. 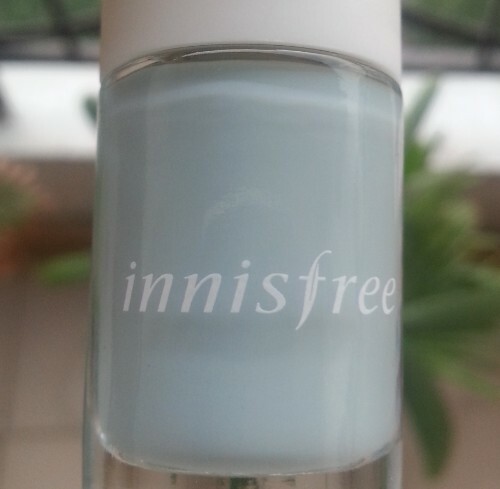 Claims: Innisfree released a line of long-lasting, vivid, and glossy nail polish with natural colors. The Korean brand offers high-quality nail polish with a huge variety of shades and reliable colors. Usage: Apply at least 2 coats get the color. 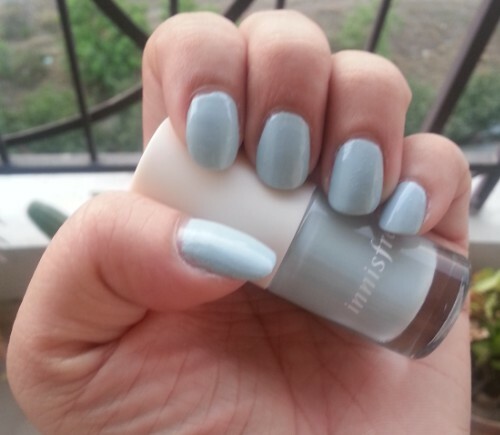 Use a top coat to make it last more time. 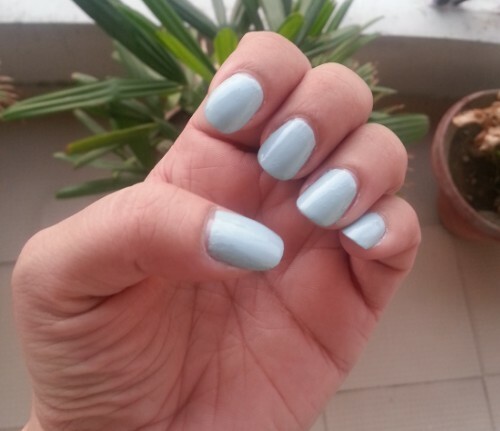 such a beautiful powder blue….loved it!!!! thanks dear, it’s worth trying few shades.